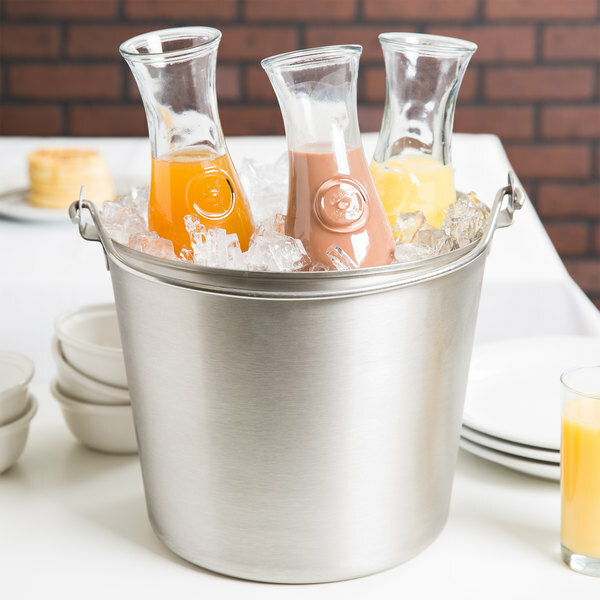 Easily transport bulk liquids, ice, and more with the Vollrath 59120 13 qt. 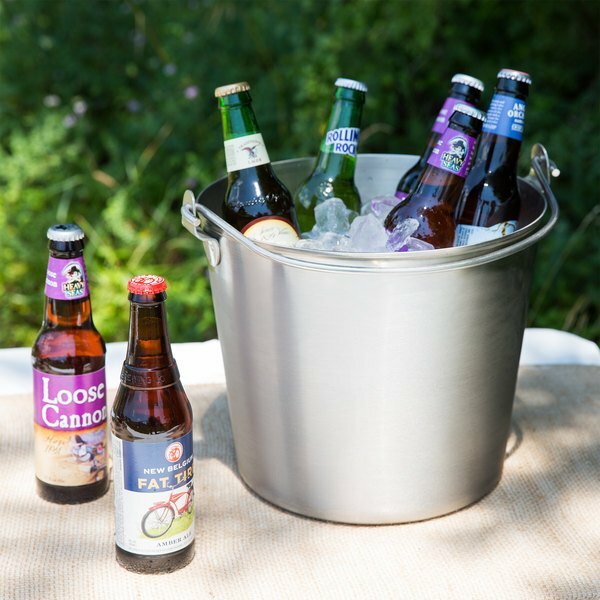 utility pail. 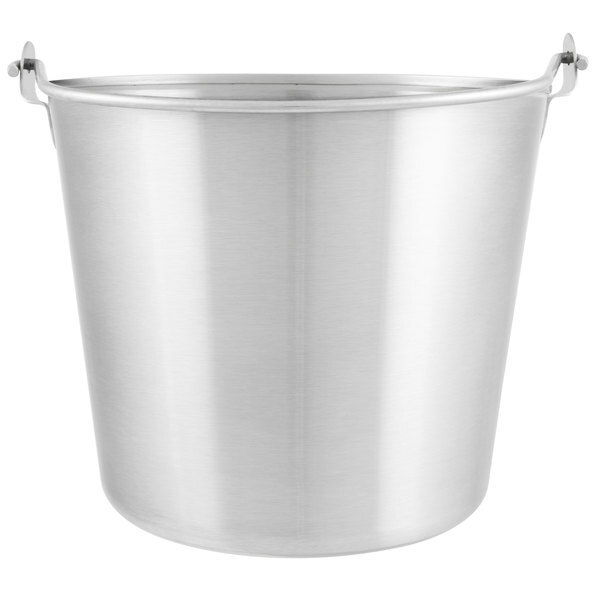 This versatile pail is made of durable 300 series 18 gauge stainless steel, ensuring long-lasting performance in your kitchen, bar, hotel, or country club. 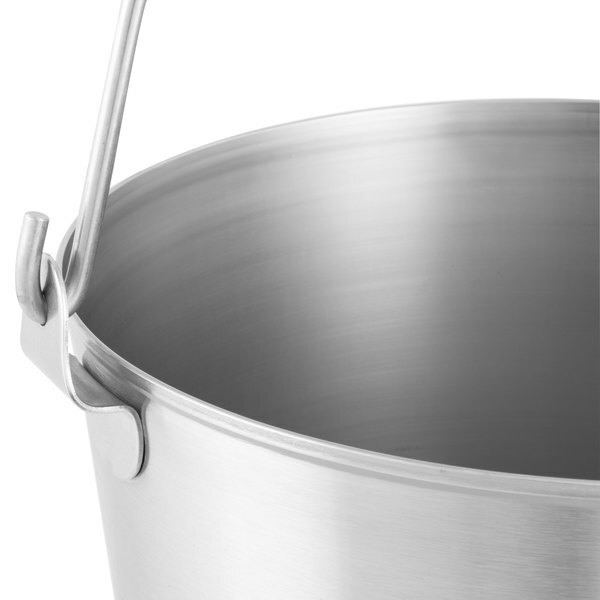 In addition to its durability, this stainless steel pail also helps maintain cool temperatures for your products or ingredients to preserve freshness during transport. This also makes it great for use preparing bulk ingredients like ground beef or soups! 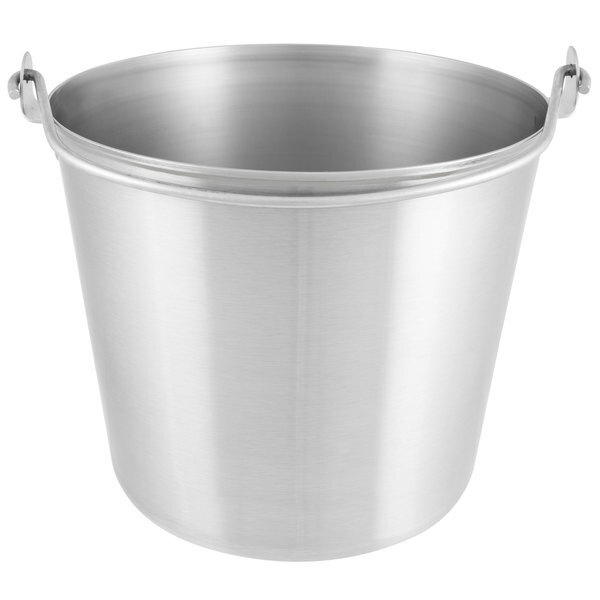 Thanks to its tapered design, this Vollrath dairy pail is very easy to clean as well, helping to reduce the likelihood of bacterial growth while promoting safe, sanitary conditions. 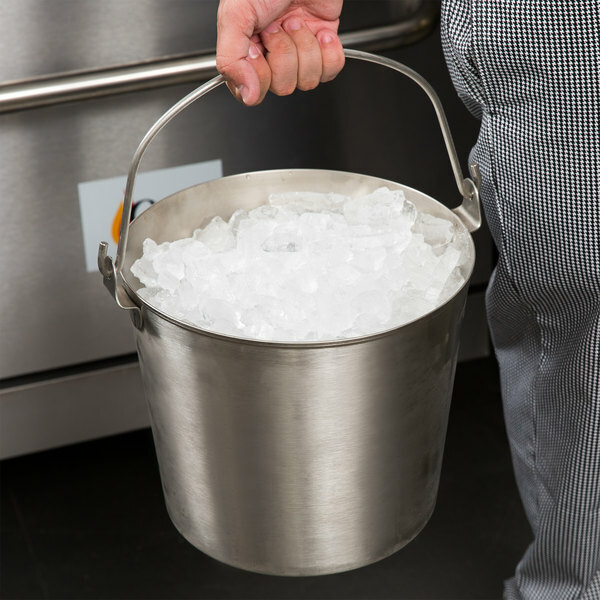 Not only is this pail great for transportation, but its large size is also great for holding ice to create an ice bath to cool down your signature soups and sauces! 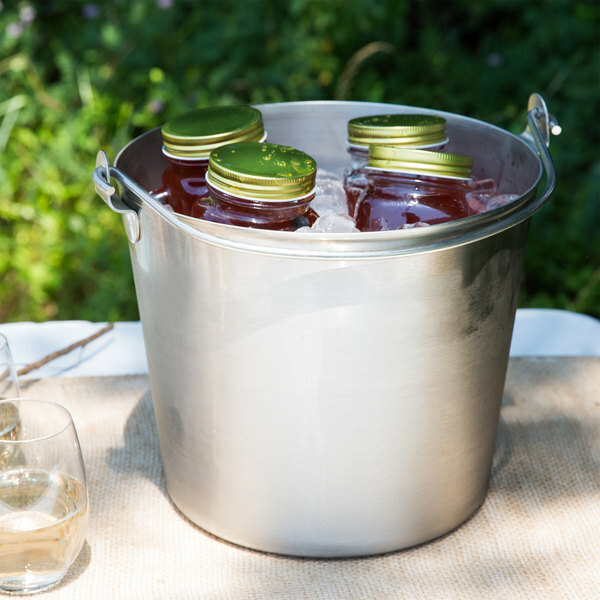 The convenient carrying handle makes it easy to handle, even when full, and also assists in easy emptying after use. 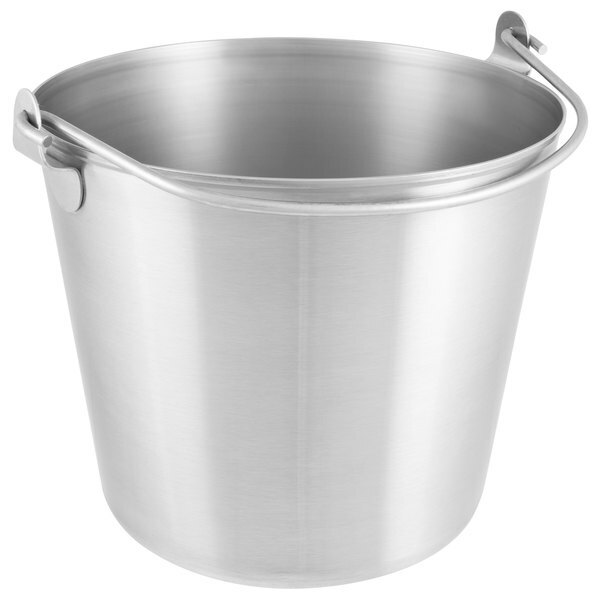 Besides typical kitchen use, this pail also makes a great addition to commercial pharmacies that need to mix solutions or transport samples in large, safe, and sanitary containers. 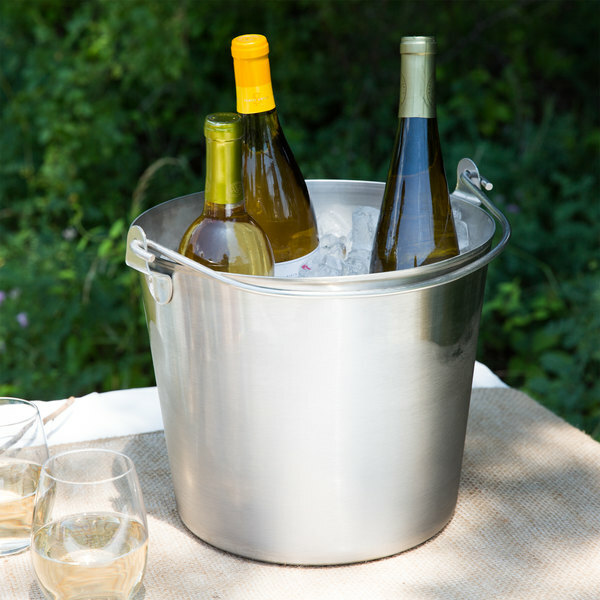 No matter how you end up using it, this pail is sure to meet all of your needs!